2. Our special Anniversary lunch at Hollywood Brown Derby. It was probably the fanciest food I’ve ever eaten. Duck Confit? Who am I?! It was SO good! They treated us extra special for our anniversary, and it was really fun! 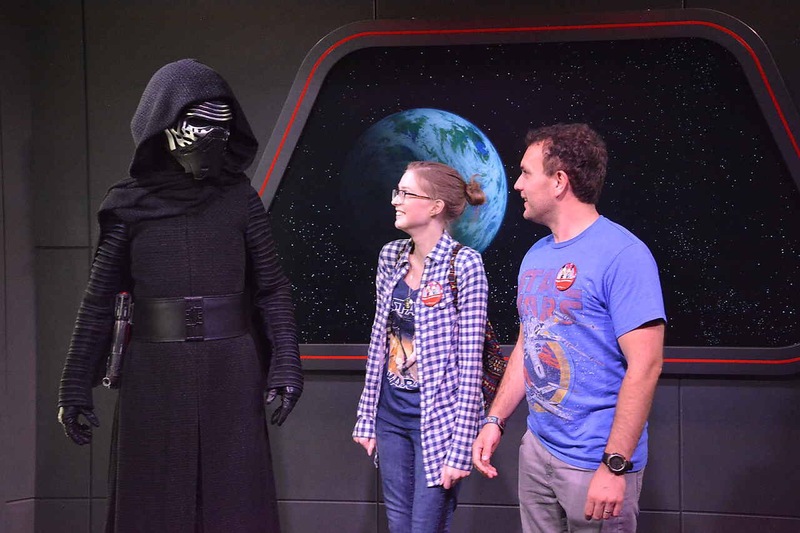 Kylo Ren is v scary. 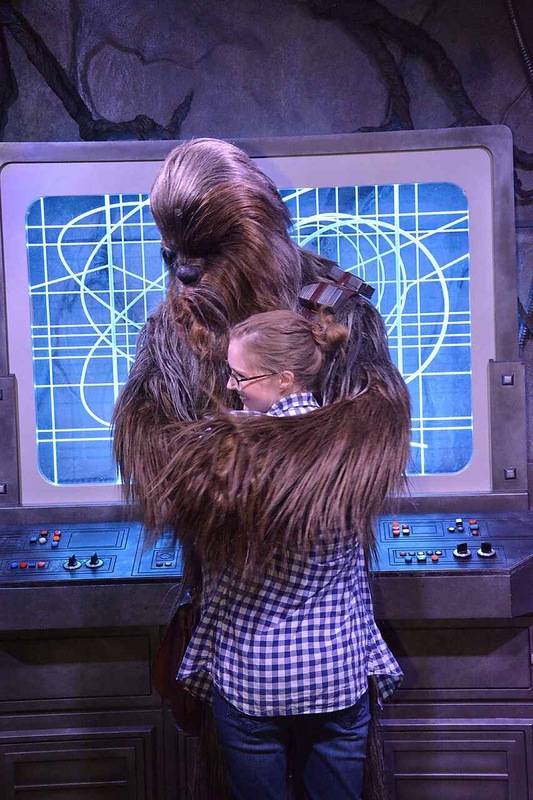 Chewie really gives the best hugs! This trip has been so much fun. More tomorrow! See y’all then. Can’t help it. You and Josh are just the cutest. Hope you continue to have lots of fun and feel good. Kelli, this post made me SO HAPPY. After reading your posts every day for months, I feel like I know you, and I am so, so glad you are having fun with your sweet husband after after all the stress and anxiety you’ve been going through. You deserve so much more of these kinds of days. You are an incredibly strong, loving person. I’m so glad you are feeling better and having a good time with Josh.